• Incredible Tropical Vanilla Flavor! With bone and joint health becoming an increasing concern for many adults, Beyond Osteo-fx Powder was formulated to support optimal bone and joint health containing nutrients that enhance calcium absorption by the body, in an easy to consume powder form. 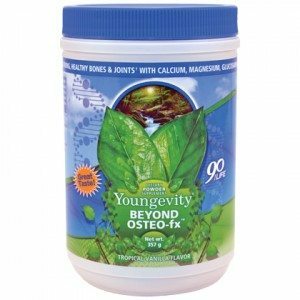 With bone and joint health becoming an increasing concern for many adults, Beyond Osteo-fx™ Powder was formulated to help support optimal bone and joint health. 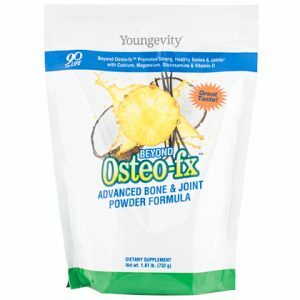 Beyond Osteo-fx™ Powder can be easily added to your favorite beverage through its easily consumable and highly-absorbable form. With more than the daily recommended intake of calcium, and nutrients needed to enhance calcium absorption by the body, Beyond Osteo-fx™ Powder provides you with powerful nutrition targeted to eradicate the oxidative free radicals that undermine joint health in the first place. 1.61 lb. bag. 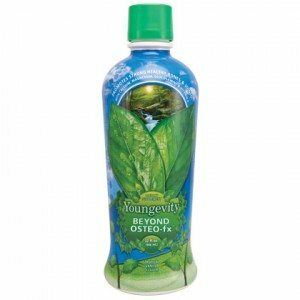 Same great product as above packaged for on the go convenience. Keep it in your car, desk, purse or brief case or just take it along. Mix with a bottle of water and your good. 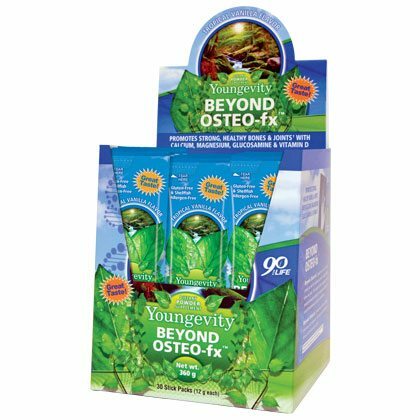 Beyond Osteo-fx Powder was formulated to support optimal bone and joint health containing nutrients that enhance calcium absorption by the body in an easy to consume powder stick packet. (30) 12 g stick pack box.